Cool as always. thnx for the picture. Thanks very much! Maka kawaii! He lose to Maka right? Look at his face that draw by ink. They look so great in kimonos. Hehe, beautiful! I love kimono)) Thank you a lot! love this scan! thanks a lot! 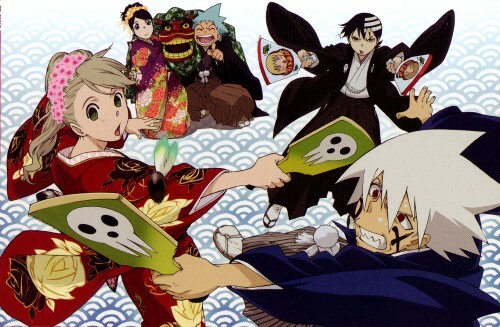 is This From Soul Eater Art book? They all look so good in their kimonos!